From 2017, BMMC have been advised that marshals instructions for signing on with various organising clubs will only be available on the organising club websites and will NOT be sent with the e-tickets. 750MC will be sending sign-on information by email to volunteers directly (or in the post for those without internet connections). VSCC, MGCC and CSCC information will follow once available. Accessed via the calendar for the date required, then select the link for Marshal’s Instructions. Accessed via the calendar for the date required, then select the link for Marshals Letter. 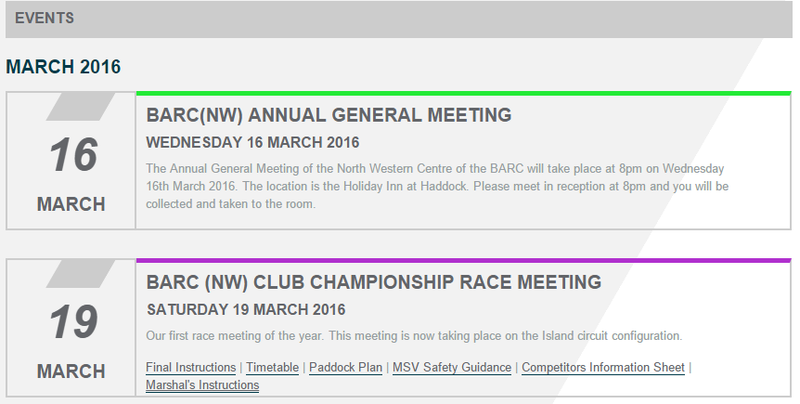 Accessed via the Race Meetings menu, use the calendar to choose the event date required. Select the meeting for contents and instructions.